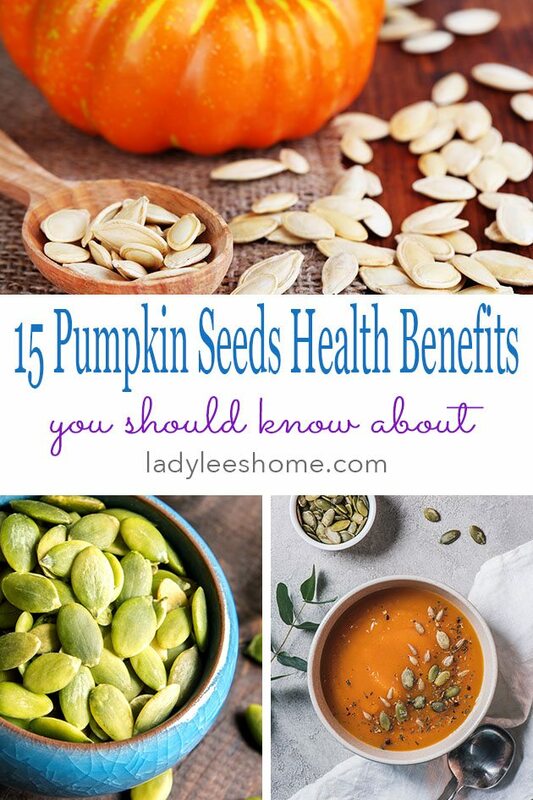 In this post, we will go over 15 pumpkin seeds health benefits you should know about. This super food is not as common as it should be if you ask me! It’s so rich, so healthy, and so easy to add to your diet. 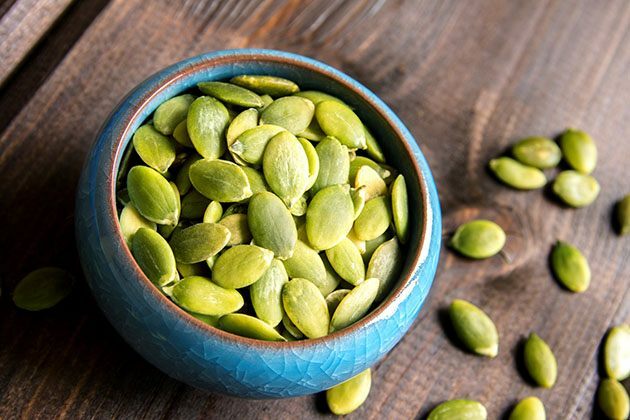 Pumpkin seeds can be a simple snack, roasted or raw, can be ground and added to baked goods or even smoothies, can top a salad or soup… The possibilities are endless! Pumpkin season is here, baby! Can you tell that I am super excited? I am a bit mad at myself that I don’t have pumpkins in the garden this year, but that is a story for another time. Garden aside, I spotted pumpkins at the grocery store the other day and almost started dancing right there and then. Thankfully I managed to gain a bit of self-control AND not run anyone over with my grocery cart when I made a direct beeline for the pumpkins. I snatched a few and now the possibilities are endless!! Should we go for pumpkin cheesecake first? Or maybe this delicious and super simple pumpkin bread? Or maybe I should choose a recipe form this list of 47 fresh pumpkin recipes? There are so many options…this is going to be a delicious fall! But don’t you go think that I am only excited about the part of the pumpkin that you cook! I am no less excited for the seeds too! They are so rich, really a super food and in my opinion, we don’t eat enough of them. I usually roast my pumpkin seeds with garlic powder and cumin, oh it’s so good, even the kids love it. And you know what the best part is? The seeds keep them busy for a loooong time! Win-win, both healthy and an activity. Anyway, wanna know why pumpkin seeds are so healthy? Let me tell you! Rich in Magnesium – pumpkin seeds are very rich in Magnesium. In fact, they are one of the easiest and best sources of Magnesium for us human beings. Magnesium is important for more than 300 biochemical reactions in our bodies. It helps support a healthy and strong immune system, it assists in maintaining normal nerve and muscle function, it helps to keep the heartbeat steady and helps bones remain strong and solid. Magnesium is linked to healthy levels of energy and helps regulate blood glucose levels. High in Antioxidants – antioxidants are substances (man-made or natural) that protects our cells from harmful radicals and therefore may prevent or delay cell damage. Pumpkin seeds contain a variety of natural antioxidants in a variety of forms. 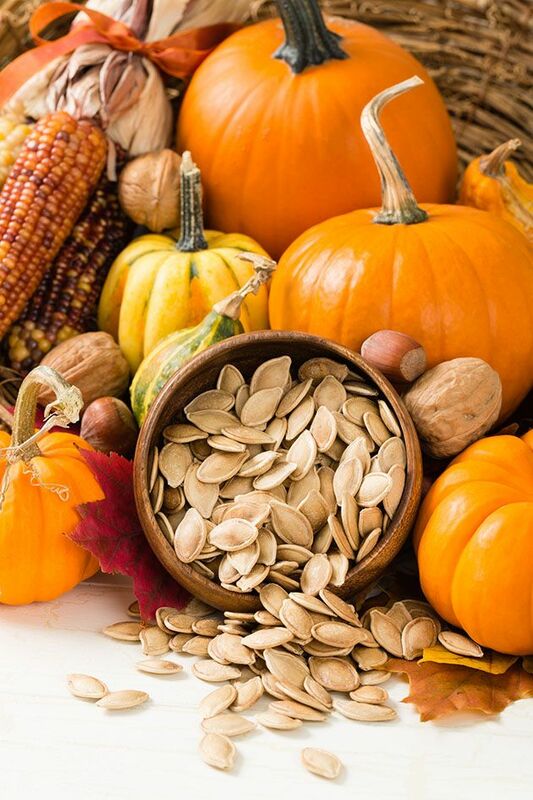 Phenolic antioxidants, a few different forms of vitamin E, mineral antioxidants like manganese and zinc, and phytonutrient antioxidants are all found in pumpkin seeds. 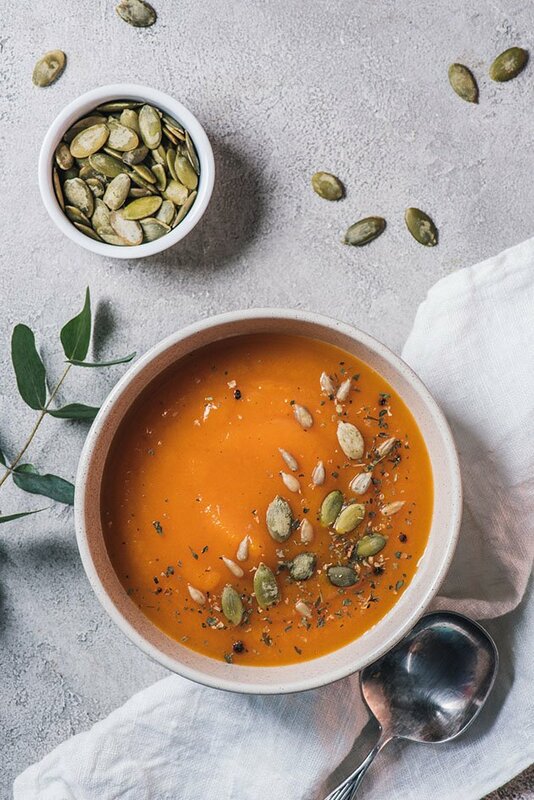 Help Reduce Blood Sugar Levels – this is still under extensive research but there are already results showing a connection between pumpkin seed oil, ground pumpkin seeds, and pumpkin seed extract and healthy and balanced levels of insulin. 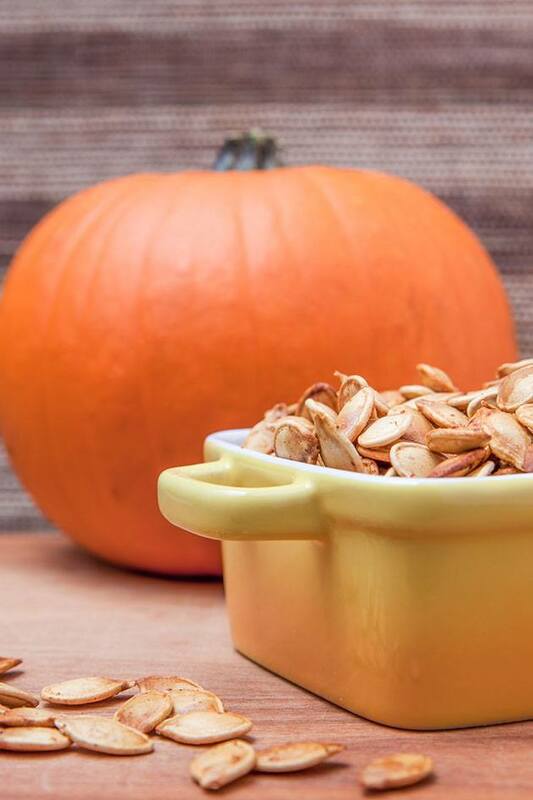 As we know, insulin regulates blood sugar levels and therefore pumpkin seeds are linked to reduced risk of diabetes. We also know that increased levels of magnesium and antioxidants decrease oxidative stress that is directly linked to treatment and prevention of diabetes. Support Healthy Heart – pumpkin seeds are shown to be able to increase levels of nitric oxide in our bodies. Nitric oxide is a molecule that is naturally produced in our body. It’s most important role is vasodilation. It relaxes the inner muscles of the blood vessels and widens them and increases circulation and blood flow. Being rich in antioxidants, zinc, fatty acids, and magnesium, pumpkin seeds also are linked to reduced blood pressure and maintaining healthy levels of cholesterol, two very important factors when it comes to heart health. Can Help Improve Sleep – pumpkin seeds are a natural source of tryptophan, an amino acid that promotes sleep. The zinc in pumpkin seeds converts the tryptophan into serotonin that then changes to melatonin which is the sleep hormone. If you are having sleep problems you can try eating around 7 oz of pumpkin seeds before going to bed. Support Healthy Digestion – pumpkin seeds are high in fiber. A diet high in fiber has many benefits. Fiber isn’t really digested in our body, instead, it passes almost intact and takes other things along with it on the ride. Dietary fiber increases and regulates healthy bowel movement, lowers cholesterol, controls blood sugar levels, and can help maintain and achieve a healthy weight. Support a Strong Immune System – we already talked about pumpkin seeds containing high levels of antioxidants and phytochemicals. In addition, pumpkin seeds contain unique proteins that are anti-viral and antimicrobial. Combine all this goodness together and you have a super food that can provide great support to the immune system. Rich in Omega-3 – pumpkin seeds are a great source for omega-3. In fact, in one ounce of pumpkin seeds there are 13 grams of fat (from those 6 grams are Omega-6s). Omega-3 is very beneficial to our body. It supports healthy body development, lowers the risk for heart disease, supports healthy joints, lowers the risk of depression, improves memory and prevents memory loss, lowers inflammation, and supports healthy lungs. Sperm Count and Quality – pumpkin seeds are very rich in zinc and zinc levels are directly related to sperm quality. If you are dealing with infertility, try eating pumpkin seeds. Under the shell of the seed, there is a thin layer called the endosperm envelope. 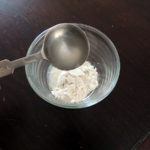 Even though zinc levels are not high in the shell itself they are very high in the endosperm envelope and since it’s very hard to separate the two it is recommended that you eat the whole seed, shell and all. Anti Inflammatory – pumpkin seeds have an anti-inflammatory effect on the body. This is especially beneficial for joint health and can help prevent and treat arthritis without the side effects of man-made medications. If you are interested in other natural ways to support healthy bones and joints, check out my post about essential oils to support healthy bones and joints. A Good Source of Vitamin K – pumpkin seeds are a great source of vitamin K.
Vitamin K’s main role is preventing excessive bleeding and helping blood clot. Low levels of vitamin K are not very common in adults but some do suffer from it. Eating a diet rich in vitamin K can help prevent uncontrolled bleeding in case of an injury. Support Prostate Health – pumpkin seed oil is shown to help relieve symptoms of Benign Prostatic Hyperplasia (BPH), a condition in which the prostate enlarges and it is difficult and painful to urinate. 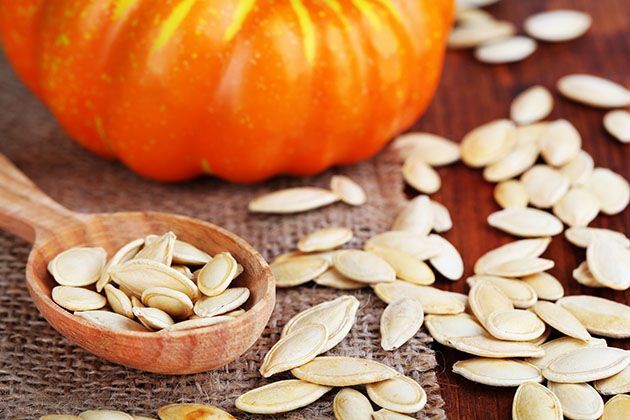 Studies done here in the U.S. linked the many different kinds of nutrients that are present in pumpkin seeds to the beneficial effect they have on this condition, however, most studies were done with pumpkin seed oils and pumpkin seed extracts. Help Prevent Kidney Stones – not only do pumpkin seeds help keep a healthy urinary tract and promote healthy urination, studies show that they can also help prevent the formation of calcium oxalate in the kidneys and therefore prevent kidney stones. Help Prevent and Treat Tapeworms and Other Parasites – your grandma probably knows this! Pumpkin seeds contain an amino acid called cucurbitin and this baby is not friendly to digestive parasites (it paralyzes them). 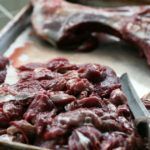 Not only eating pumpkin seeds (as far as I know in this case it’s better to eat the seeds raw) can help people battle digestive parasites, it can also help your farm animals as well. So if you can make a yummy homemade pumpkin seed snack for them once in a while you’ll be able to help them battle tapeworms and other parasites naturally. A Simple Filling Snack – lastly, pumpkin seeds are simply a healthy filling snack that is super easy to add to your diet. You can roast them with some seasonings as a snack (here is how I roast my seeds), you can add them on top of salads or soups, you can ground them and use them in baked goods or smoothies, you can add them to your cereal, oatmeal or granola, and you can even add ground pumpkin seeds to meat when you make hamburgers or meatballs. I bet there are many more benefits to pumpkin seeds! The bottom line is… We should eat pumpkin seeds not only in the fall but year round. We should also feed it to our animals, make a pumpkin seed snack for your horse, cow, goat, or horse. Give pumpkin seeds to your kids and then to your chickens too! And you can always just simply add it to grain if you feed your farm animals grain. You can get organic pumpkin seeds here on Amazon, you might be able to find a bag of them at the grocery store, and of course, you can get them from the pumpkins you eat in the fall! If you’d like to check even more information about pumpkin seeds, check out this great resource. It has some great charts and a list of the studies that show the information above. Remember to keep the seeds of the pumpkins you eat this fall, if you use a lot of pumpkins you might have a supply of seeds that would last a while. Even if not, you can keep buying them the rest of the year. I think it’s a good habit to get used to adding them here and there on a regular basis.